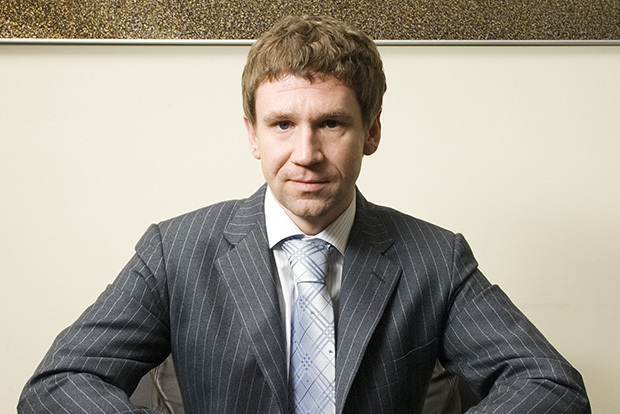 Vladimir Aleksandrovich Antonov (born 1975) is a (formerly London-based) Russian banker, entrepreneur and investor. In 2007 Antonov's personal wealth was estimated at $300 million which ranked him as number 182 among Russian millionaires. Antonov's interests (29.9% of the shares) in Spyker Cars were said to have delayed the purchase of Saab Automobile in late 2009. An investigation by the Swedish monetary agency Riksgälden and the Swedish security police Säpo had allegedly found connections between the Antonov family and organised crime, as well as involvement in money laundering. Säpo reported their findings to the United States Federal Bureau of Investigation, and shortly afterwards GM stopped further talks about the deal until the Antonov family had sold their shares in Spyker Cars. On 23 November 2011, it was announced that a Europe-wide arrest warrant had been issued for Antonov. Lithuanian prosecutors want to question him as part of an investigation into alleged asset stripping at Snoras Bank.In July 2015, he was reported as having fled the UK. In September 2015, it was reported he was living in Moscow. Oleg Siyenko forces the defense giant to bankrupt? Alexey Miller, Chairman of the Board of Gazprom, led the list of the highest-paid CEOs in Russia for the first time, according to Forbes. According to the magazine's assessment, his remuneration in 2014 rose from $25 million to $27 million. Alfa-Bank arrested RUB 523.5 million on Uralvagonzavod accounts. General Director of Uralvagonzavod Oleg Siyenko in an interview to RBC called the bank's actions "a blackmail". The Moscow Arbitration Court has registered two more claims to Stroygazkonsalting in the amount of 8 billion rubles, as follows from the court base. Among the claimants is Bank of Moscow. The total amount of claims against the company reached 13 billion rubles. Founder of Ivi.ru Oleg Tumanov collected the largest legal video library in Runet, paying no attention to losses.